Over the past few years, there have been tremendous strides made in Dallas to reduce local air pollution and improve air quality in the city. Since 2000, there has been an annual average concentration decrease in particulate matter of 3.4 µg/m3. There is a graphic at the bottom of this article from the American Lung Association that tracks the city’s progress in reducing particulate matter pollution. One of the ways this has been done is by collecting data from local air monitors placed throughout the city. 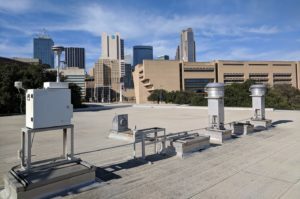 The three monitors pictured here are located on top of the Kay Bailey Hutchison Convention Center and are used to measure concentrations of particulate matter (PM)—a mixture of solid particles and liquid droplets in the air, most commonly in the form of dust, smoke, or other emissions from construction sites, highways, or fires. PM monitors are especially important in areas with populations that are most at risk for air-borne illnesses. This includes people with asthma and other respiratory diseases and cardiovascular disease, diabetes—which usually has links to underlying, and often undiagnosed, cardiovascular issues, and those living in poverty—who statistically lack access to adequate healthcare facilities and treatments. The data and subsequent air quality index reports generated from the monitors are of extreme importance especially to Dallas Independent School District, which has known high rates of asthma-related absenteeism. Thus, not only can PM have an impact on health, but it also has implications on students’ success and productivity. 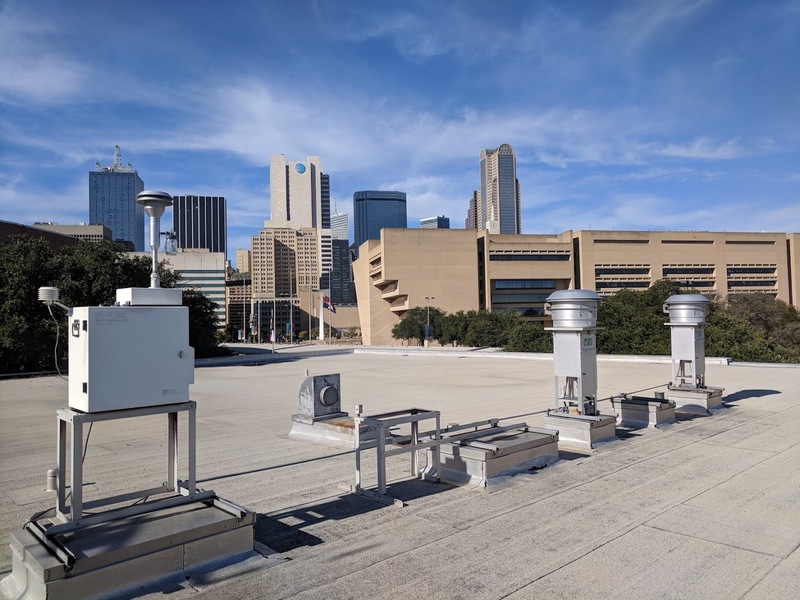 With these PM monitors, and more to come, the City of Dallas aims to ensure that we remain in compliance with EPA standards, as well as issue timely warnings when PM levels spike, so that everyone can have access to clean air and the benefits that come from it—good health and a great quality of life. 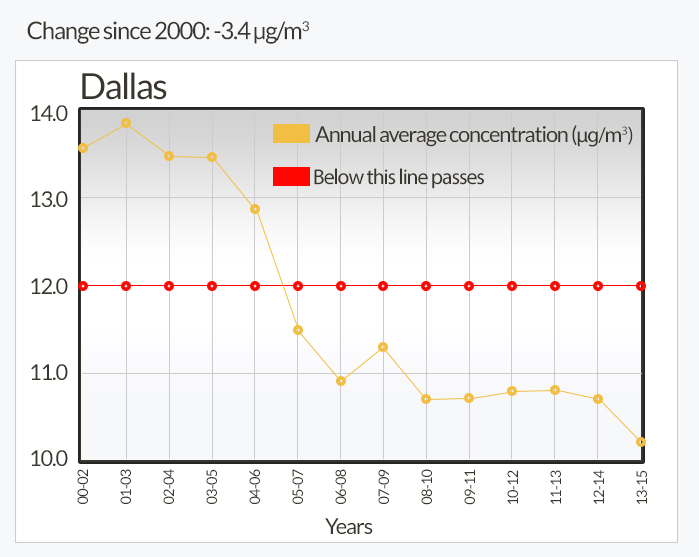 Air Quality, Dallas, monitoring, particulate matter, pollution, public health. Bookmark. It’s My (Awesome) Park Day!